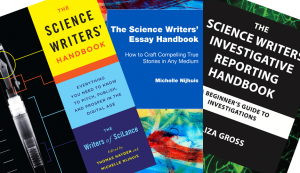 The Science Writers' Handbook series emerged from a close-knit, online community of more than 30 science writers called SciLance. The group had spent years asking each other for advice and sharing the joys and frustrations of their science writing careers. By 2009, the group suspected that these insights and experiences could be the seeds of the book, which was fueled in part by one of NASW's first Peggy Girshman Idea Grants in 2011. The Science Writers' Handbook was published in 2013, and for two years SciLancers also produced a blog — Pitch Publish Prosper — with nearly 300 posts. A collection of the 20 most popular posts is now archived here under four headings: Freelancing 101, Pitch, Publish, and Prosper. 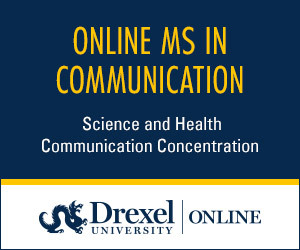 Members of the group have published two companion books: The Science Writers' Essay Handbook (2016) by Michelle Nijhuis and The Science Writers' Investigative Reporting Handbook (2018) by Liza Gross. Click on any category below to see all of the available resources. Reader question: Why won't an editor reply to my pitch? Juggling kids, deadlines, and days "off"
Contact the Writers of SciLance at sciwrihandbook@gmail.com.